Having whipped up a Magic Coffee baby hat yesterday, I was inspired to power through the next one, and I finished it today. Here they are together. the silky wool doea not make stretchy ribbing! no more silky wool ribbing! 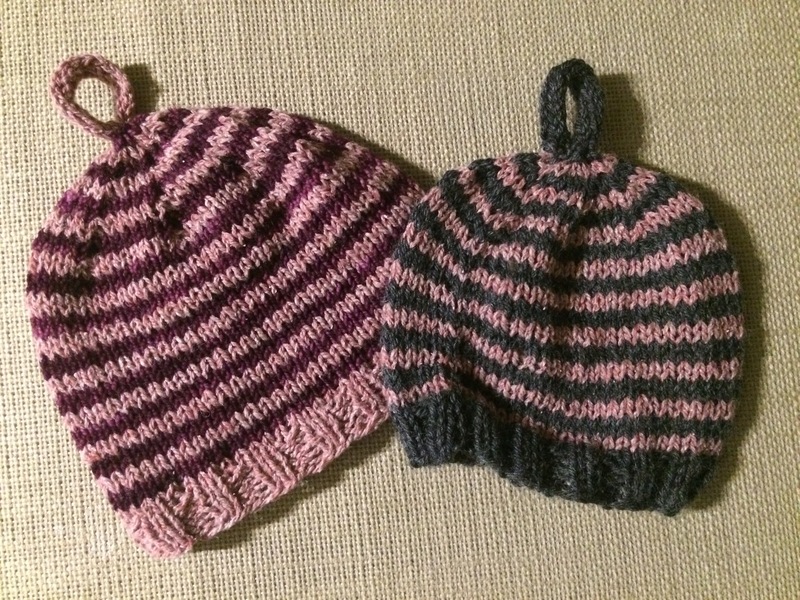 Several family members and friends of mine are having girls in the next few months, and I found this hat so handy when the Wee Boy was a baby, so I’ll continue to knit these up for a while. I’m also super inspired to use up this pink Elspeth Lavold Silky Wool from Stash Exchange 2014. At that stash exchange, I vowed to myself to use up my newly acquired yarn before the next exchange, and not let it become a repeat offender. I’d used some of it in a cowl, but I want to use it all up! So to that end, I started another baby hat right away! What a great idea! I will have to dig out that one skein that never seems to dwindle and see what I can match it to. But then I have to convert the pattern to worsted, but that’s no biggie! Cute hats, I love the purple and pink. This pattern is written for worsted, so no conversion necessary! 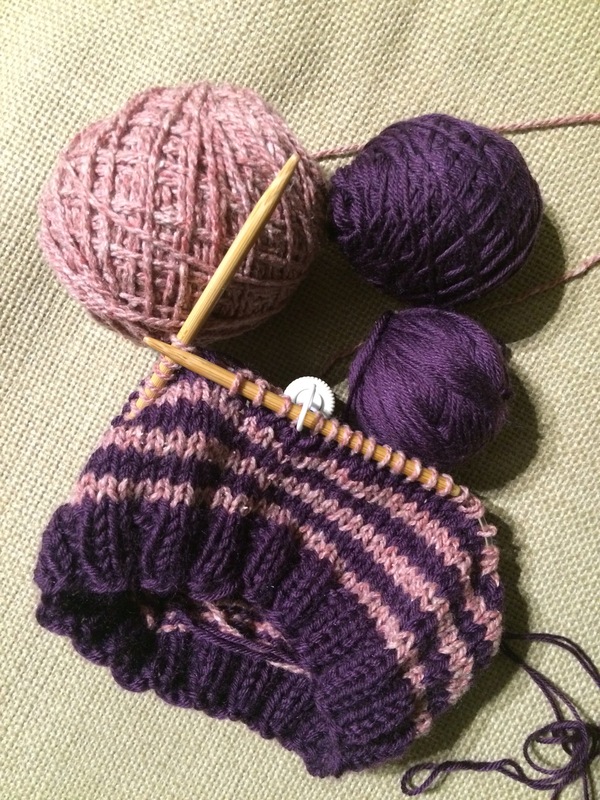 I veered a tad here by doubling sock yarn, which worked fine. Tonight I started one in a bulky yarn, I might have to adjust!